David Brown and his wife, Ann, own Chester Brown Wholesale Florist, a member of the exchange since 1933. From a sprawling industrial site at the edge of the South End, the Boston Flower Exchange has supplied generations of New Englanders with roses for Valentine’s Day, lilies for Easter, bouquets for weddings, and cut flowers for countless other occasions. Now, the century-old wholesale supplier could fall to the wave of gentrification coursing through the neighborhood. A mysterious bidder has offered $35 million for the private company’s five-acre property, leaving vendors who have hawked flowers from inside the Albany Street warehouse for decades worried about being uprooted. The exchange is a vestige of an earlier era in Boston commerce. It was founded in 1909 by a collective of 123 growers who wanted a single location from which to sell their flowers to retailers — one of its earliest locations was in the basement of the Park Street Church. Though its power has been diminished by competition, the exchange remains an important supplier to the region, a convenient stop for florists and retail shops to stock up on everything from asters to zinnias. 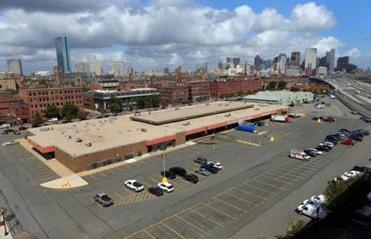 The Boston Flower Exchange’s land might be its most valuable asset. Flower Exchange officials would not divulge who made the offer for the property or what would happen to the business if the land is sold. That has only added to the frustration of the building’s flower sellers, who complain they have been left in the dark about their own future. The board is expected to ask shareholders, estimated at some 200, to vote on the buyout offer at the exchange’s annual meeting scheduled for October. A two-thirds vote is necessary to accept the offer. Shareholders include wholesalers with stalls at the warehouse, as well as descendants of the exchange’s founders, some of whom don’t do business there and know little about its operations. Several shareholders who spoke to the Globe said they could not decide on the offer until they learn more about the bidder’s identity and plans for the property. The exchange currently has 14 flower wholesalers who rent floor space for around $200,000 to $300,000 annually. That’s down from 22 in the mid-1990s. The exchange is open only to retail florists and other businesses that buy flowers in volume, such as wedding designers. There have been modest changes over time. It used to be open to the public, until 1941. In 1965, it accepted its first batch of flowers that were grown outside of New England — from New York, no less. Otherwise, the exchange operates largely as it did in its early years. The workday begins in the middle of the night, when truckloads of flowers arrive from growers and container ports along the East Coast. At 5 a.m., the exchange opens for business. Dozens of buyers emerge from vans bearing the logos of local florists and supermarkets and push inside, where they pick over shelves of meticulously displayed plants and rows of plastic buckets bursting with blooms of every color and variety. By noon, the last van departs, and the exchange closes for the day. When the exchange relocated in 1971 from its previous home in the Cyclorama building, Albany Street was an outpost of the Newmarket industrial area. For decades, it remained untouched by the development boom that has turned the old brick-front residences in the South End’s residential areas into million-dollar town houses. But now that trend has reached the exchange’s doorstep. Around the corner, on the site of the former Boston Herald building, the new Ink Block project will feature luxury condos and a Whole Foods supermarket. Meanwhile, just down Albany Street from the exchange, workers in surgical scrubs and white lab coats flock to a bustling medical and research complex anchored by Boston Medical Center. The exchange’s immediate neighbor is Boston University’s controversial $200 million National Emerging Infectious Diseases Laboratories, completed in 2008 but awaiting approval to begin full operations. The exchange has received offers for its property in the past but never one this large. The wholesalers inside the building have also struggled to maintain a cohesive front, giving the board increased power. An earlier alliance of vendors who were fed up with high rents at the warehouse and wanted to start a breakaway exchange collapsed. But with a new buyout offer threatening the exchange, vendors said they will have work together to find a new home. The exchange’s board of directors declined to elaborate on the offer for the property. In the past, when the exchange received offers for its 5.6-acre parcel, so, too, would Bill Jacobson, who owns a floral supply shop next door. But the mysterious bidder who offered $35 million for the exchange’s land has yet to contact him, Jacobson said. The land might be the exchange’s most valuable asset. Though it does not release figures on its business, vendors and shareholders acknowledge the exchange’s role in the flower industry has been diminished by competition from wholesalers that deliver directly to florists and Internet retailers. Even so, it would create a significant disruption for the exchange’s employees and the retailers who depend on it. “Three hundred people work here, and another four or five thousand jobs depend on the exchange,” said Cupp, who called on Boston officials to help wholesalers find a new home in the event of a sale. In the meantime, shareholders said they have so far been unable to find out more information about the offer, leaving them with little else to do but to wait for the exchange’s board.